Lower Manasalu Trek is best known for its magnificent trails. 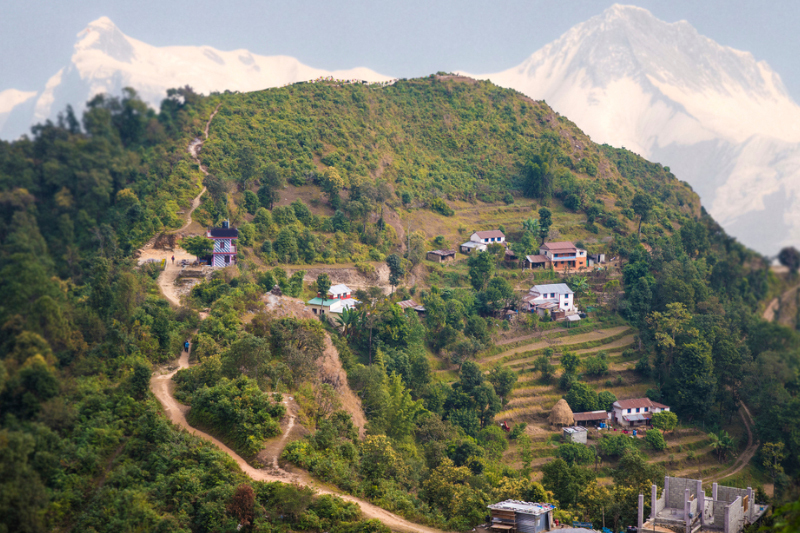 It is a new trekking trail that allows the trekkers to discover the first capital of Nepal – Gorkha. Gorkha, places from where unification of Nepal was started by Late King Prithivi Naryana Shah, is the first capital of Nepal. There are several places of historical and archaeological importance in the district. Blessed by nature splendor and landmarked by a plethora of historic, religious, ecological and cultural importance is has every potential to be featured as one of the favored touristic destinations of the country. However, number of tourists coming to this region is limited. Besides the manaslu circuit trek, Lower Manaslu rout offers moderate trekking, historical tour, Pilgrimage tour, tourism and community based some stay. The locals are also committed towards development and promotion of tourism in the district. Manakamana cable car station at kurintar is 03 hrs drive from Kathmandu where a 10 minute ling Nepal's only cable car leads to the Manakamana Devi Temple at the hill top. The temple dates back to 17th century. Manakamana Devi is believed to be the with fulfilling goddess and every year mullions of devotee from Nepal and abroad pay visit to this temple. Legend has it that a king of Gorkha was blessed by the goddess to get victory over small kingdoms in pursuit of making big Gorkha. After lunch session at Manakamana bazaar, beings the first leg of the trek to Bkyaswori Mahadeva temple situated 02 km north of Manakamana temple. It is believed that goddess Sati's tongue fell at bakyawori Mahadeva and the shrine has spiritual power to provide speech to speechless. According to the priest, many mute children have gained speech after offering prayers to the shine. About 500m futher uphill is the sidha Lakhan Thapa (founder of the Manakamana temple) sacred cave which also offers a magnificent view of Measly Himalayan ranges. Right next to the cave is a 250 year old temple built during the reign of Late King Prithivi Narayan Shah. Bungkot is a historic birth place pf Lakhan Thapa, the first martyr of Nepal. Lakhan Thapa(1891 -1933BS) was hanged to death with friend Jaising Chumi Magar at his own home of Falgun 02, 1933BS for opposing the tyrant Rana regime. Many people visit Kaule Bhangar to pay tribute to the first martyr of the nation. Apart from its historical significance. Other attraction is Lakhan Thapa memorial park built in the commemoration of the first martyr where a bust of the martyr has been stalled. The park has a collection of Lakhan Thapa's belongings like swore and stone spout. Interestingly, locals have stepped up efforts in preserving these artifacts without any external assistance. Accommodation in different standard hotels as per our different category package with all meals (Breakfast, Lunch and Dinner).Sightseeing tour as per itinerary with English speaking guide. All inclusive treks with food, sleeping tent, dining tent, toilet tent, chairs, tables, sleeping bag and mattress. Services of English speaking trekking guide, cook, sherpa and porters during the trek. All trekking permit and national park fees. Nepal entry visa fee US$ 40 (for 30 days Multiple). Soft and hard drinks such as alcohol, hot water, mineral water, cold drinks etc. Laundry, phone call, tips and internet. Meal other then breakfast in Kathmandu and Pokhara. Alternative transportation in case of heavy rain, landslide, strike road blocked etc.